MathHub’s range of review programs provides students and professionals with carefully designed curriculum and practice drills. The Science High School and the College Entrance Exam Review Programs were designed to help students reinforce and supplement what they have learned so far from elementary and high school respectively. Given the intense competition for very limited slots in the top schools, MathHub’s review curriculum was purposefully designed to cover all subject areas tested on the exams. Our drills based approach to teaching allows the students to have a better sense of the difficulty of the actual exam questions and build confidence in answering them. To monitor progress, MathHub conducts simulation exams before and after the program. The results provide the students and as well as parents an idea of what subject areas they may need to concentrate more on. MathHub instructors, given their long teaching experience, are also able to provide guidance on the application process and on how to maximize the chance of admission. MathHub conducts the Scholastic Aptitude Test Review (SAT) Program for students who are preparing for university admission in the US. The SAT measures literacy, writing and problem solving skills of test takers. 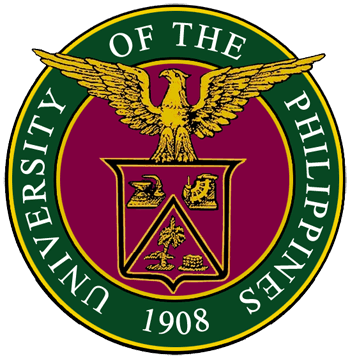 Given the substantial difference between the basic education curriculum in the US and in the Philippines, the SAT then becomes a very important criterion that US universities use. Given this fact and the intense competition for top US universities, MathHub designed the SAT Review Program to supplement what the student has learned so far in school and to provide drills and techniques on how to more effectively and efficiently answer the actual exam questions. A prospective student has the option to avail the whole review program or to select specific subject areas he would want to be reviewed on. To monitor progress, assessment tests for each subject matter are conducted before and after the program. The Civil Service Exam Review Program is offered to all professionals who would like to be employed by the Philippine Government and to current government employees who want to advance their career in public service. The Civil Service Exam measures basic language and problem solving skills of candidates. MathHub created the review program for professionals to review language and math concepts that they most probably know but have not used since graduating from high school or college. Review sessions are a combination of lectures and drills. The lectures are brief and provide the framework for answering the problems. The larger part of the review is spent on drills that are designed to help participants remember the concepts and to provide them a feel of the type and level of difficulty of the actual exam. Assessments tests before and after the program are conducted to measure the progress of the participants.